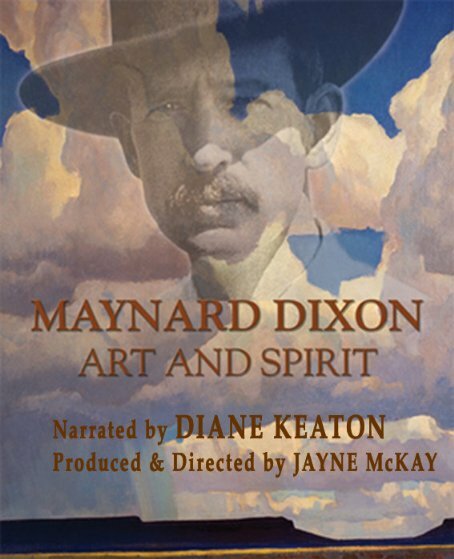 MAYNARD DIXON: Art and Spirit is a feature length documentary that profiles the breathtaking art and complex life of artist, Maynard Dixon (1875-1946). The desert was Dixon’s sanctuary, a timeless place where he could forget the hurried pace of his life in San Francisco. He would often leave his wife and children, his paying work in the city, and his friends in the bohemian art scene for months of solitary searching in the American West. Under the desert stars, Dixon wrote poetry. Under the desert sun, Dixon painted, sketched and drew. His travels took him to the camps and reservations of the Hopi and Navajo, where he was welcomed with reverence for his talent with pencil, crayon and paint. He lived with the Native Americans and his art became a language between two cultures.